A lawsuit brought by Hershey’s effectively bars the import of chocolates made in the UK by Cadbury. Using the hashtag #boycotthershey, Cadbury products lovers called for a boycott of the American chocolate giant on Twitter and Facebook. A protest petition on MoveOn.org had over 22,000 signatures by January 28. 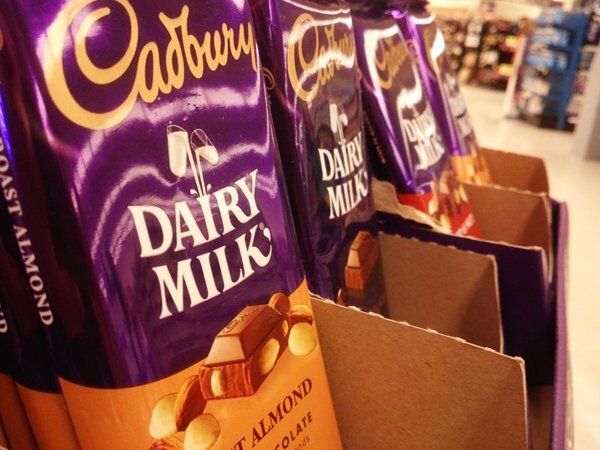 The protest comes after Hershey’s, which holds a license to manufacture Cadbury chocolates in the US, agreed on a settlement with the New Jersey importer of Cadbury chocolates, Let’s Buy British (LBB). Hershey’s accused LBB of infringing its brand trademark rights and importing British products that were not intended for sale in the US, The New York Times reported. Last week, LBB agreed to stop shipments of any Cadbury products made in the UK to the US. Many expat Brits insist that Cadbury chocolate tastes better (despite Cadbury being owned by U.S. food giant Kraft Foods’ snacks business Mondelez). It is true that British and American chocolate are different in terms of constitution. To qualify as chocolate in the UK, a product must contain at least 20% cocoa solids; in the US, the minimum is 10%. Cadbury products are not the only ones to fall fowl of Hershey’s lawsuit, with other brands. Switzerland’s Nestle also came under fire because they look like existing Hershey’s products. Toffee Crisps, which are made by chocolate giant Nestle in the UK and are a favorite with the British public, have also been banned because their bright orange packaging resembles that of Hershey’s Peanut Butter Cups too closely. Nestle’s Yorkie bars also face the chop as they sound too much like Hershey’s York Peppermint Patties. Maltesers also resemble a Hershey’s product of an almost identical name. Clyde is a business graduate interested in writing about latest news in politics and business. He enjoys writing and is about to publish his first book. He’s a pet lover and likes to spend time with family. When the time allows he likes to go fishing waiting for the muse to come.